Ahead of the Raiders of the Broken Planet launch, MercurySteam confirmed to Wccftech that the game would feature cross-platform play. However, the matchmaking pools had to be split between PlayStation 4/PC and Xbox One/Windows 10 PC/Steam, because Sony didn’t permit any game to connect to other console networks – until yesterday. 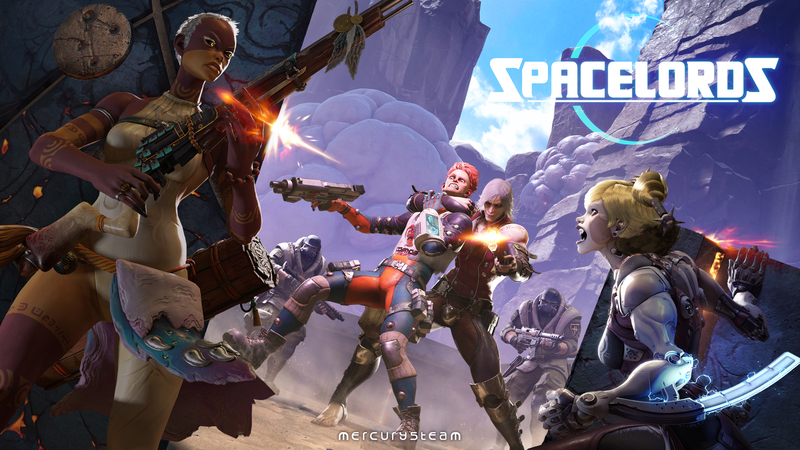 We reached out to MercurySteam for a comment after the news and they explained they’re already working with Sony Interactive Entertainment (SIE) to enable full cross-platform play in Spacelords, and an update on this topic should be forthcoming. Spacelords currently features cross platform gaming between PlayStation 4 and Steam, and Xbox One, Windows 10 and Steam. Technically, expanding cross platform gaming to all platforms is relatively easy for our team to implement, and very desirable too for a game like ours – having a strong, unified community that can play together is key to Spacelords’ continuing success. We are working in cooperation with SIE to allow cross-platform play for Spacelords and we aim to update everyone on that shortly. As covered a few weeks ago, Raiders of the Broken Planet was recently rebranded into the free-to-play title Spacelords. According to MercurySteam, it was a successful rebirth as the player base got over ten times larger and more than 400 thousand games were played in the last thirty days. They’ve also shared the upcoming roadmap of updates with the community, with the following four key milestones. The first major Spacelords’ milestone will allow players to create and customize their own Space Guilds within the game, with full cross platform implementation and expanded communication options. Aspiring Spacelords can team up, design their own Guild banner with the new in game editor and coordinate their games together in preparation for the conflict to come. With the arrival of the new in-game store, players will now have countless more options for customizing their characters, with new outfits, exclusive weapon customizations, emotes to express in game and even new fighting styles, melee weapons and finishing moves. With the Space Guilds now fighting to control the Aleph resources, the stakes will be raised much higher when they compete to show who’s the best! Guilds will endeavor to leave their mark on the Broken Planet, obtaining the best scores and literally planting their banner on the missions they master for all to see. This isn’t a battle anymore, but a War!